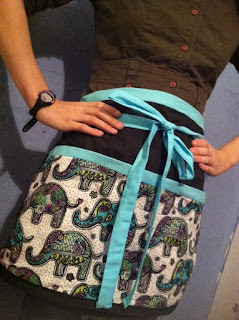 Time's running out to enter to win this adorable apron! We're drawing on Wednesday! I love vanilla; as a secret ingredient...its a bit...vanilla...as in plain. I struggled to come up with an idea that wasn't totally boring. Saturday, I was still struggling and headed to the farmer's market hoping for some sort of inspiration. I headed to the parking lot and started loading my produce into the trunk and that's when it hit me. Right on the top of the head. What better way to improve upon vanilla, than to add bacon? And chocolate. Preheat oven to 350 degrees. Prepare cookie mix according to mix directions. Chop bacon into small pieces, then cook til crispy in a hot skillet. Drain bacon on a paper towel, the mix in to cookie mix. Drop cookie dough on to ungreased cookie sheet by the tablespoon full and bake 12 minutes. You should have 16 cookies. Let set on cookie sheet for about a minute before removing to a wire rack to finish cooling. Freeze cookies for about 30 minutes. Place one scoop of vanilla ice cream in the middle of 8 cookies. Top with the remaining cookies. Sounds pretty yummy to me. What exactly does the bacon add to the flavor? OMG!! Bacon and chocolate together is making my mouth wish for a few right now!!! Great recipe!!! Sounds like it should be at the state fair!! I am co-hosting a link party today called Tell Me Tuesdays! I'd love for you to come check it out and link up!! These look delicious. I am definitely going to have to try this recipe. I love bacon and I love ice cream and chocolate, but I gotta admit this sounds weird. But I can imagine it might taste good. Like Karen, I'm curious how bacon enhances the flavors. Thanks for sharing this. Bacon and ice cream is really becoming popular. 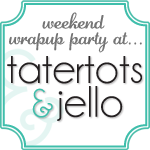 Thanks for sharing your recipe at my Twirl & Take a Bow party! Have a great week. Fabulous Idea. Fabulous. Love bacon and chocolate together. Never thought of vanilla ice cream though. Sounds like heaven. You just made my day! Chocolate - Yes! Bacon - Yes! 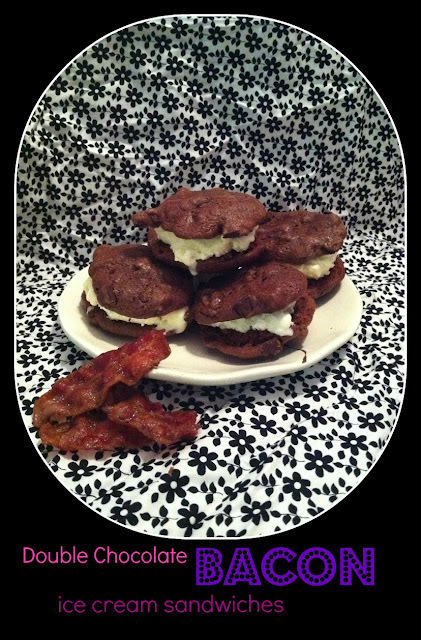 Chocolate Bacon - Hmmmm.... I guess I will just have to try it. Thanks for following me on Twitter. I love your site, since it is soooo me!